Set of four. 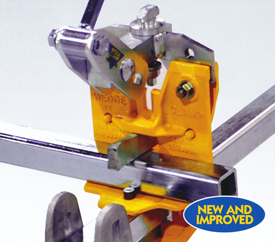 Allows clamping of both horizontal pinchweld and vertical jacktab. Adjusts for height and width. Anchors Honda and Acura models. 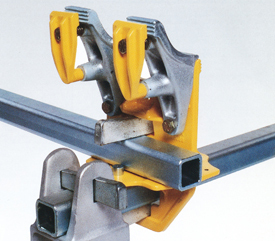 Set of four brackets allow anchoring of vehicles with a pinchweld spacing up to 77 in. * (1956 mm). 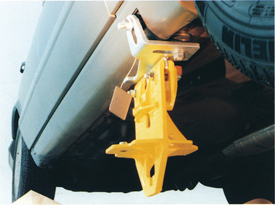 Anchors very wide vehicles such as GM’s Astro Van and Ford’s Aerostar. *Note:When Anchor rails are spaced 72 in appart. 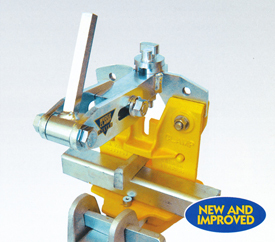 The catalogue of Anchoring Adapters.